I live in Coppice with my family and have lived in Oldham since my childhood so it was a great honour when I became the Mayor of Oldham in 2008/09. I was elected onto Oldham Council in 2000 and I’ve served on various committees and held different cabinet portfolio’s. 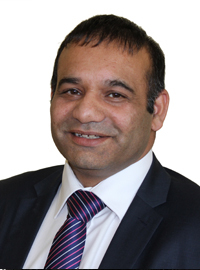 I was the Deputy Leader of the council from 2011 – 2014 with the responsibility for Oldham town centre. I am currently the Cabinet Member for Employment and Skills. I am also a governor at Oldham Sixth form College and Werneth Primary school and I chair the Enterprise Trust. I am employed by Great places Housing Group. · Improvements to Werneth Park play area. I am passionate about community development work and always striving to improve my town and ward - trying new ways of working in cooperation with residents. I’m also the vice chair of Tudor Community Sports group and am currently developing a new local scheme called ‘Love Your Street’ as part of the borough wide ‘Love where you live’ initiative.